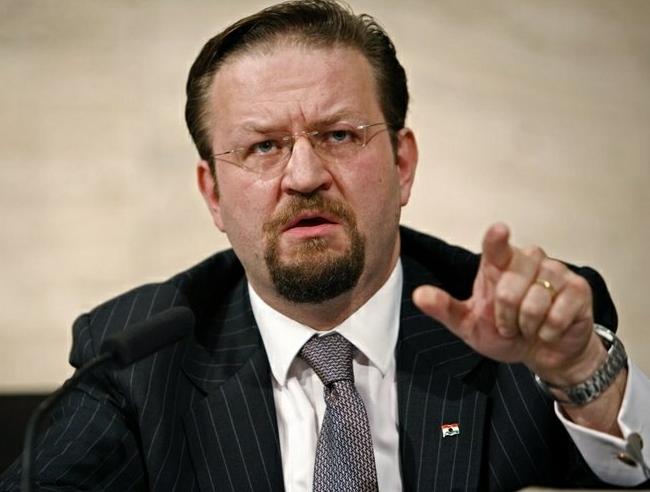 Breitbart News National Security Editor Dr. Sebastian Gorka, author of Defeating Jihad: The Winnable War,appeared on Breitbart News Sunday to answer host Stephen K. Bannon’s challenge that, contrary to the title, his book doesn’t make the war against jihad sound very “winnable” at all. It’s no laughing matter that the enemy shares no such reticence when it comes to discussing us. Gorka discusses Islamist godfather Sayyid Qutb and his landmark bookMilestones, which can be downloaded in its entirety from The Gorka Briefing. He remarked on how Qutb offered a savage critique of America as a land of decadence that had to be destroyed by the jihad –and he was writing in the 1950s, after visiting idyllic, wholesome small towns in the West. Qutb’s work is almost universally read by jihadis, who, he noted, tend to be far better educated and deliberate in their ideology than the U.S. State Department gives them credit for.